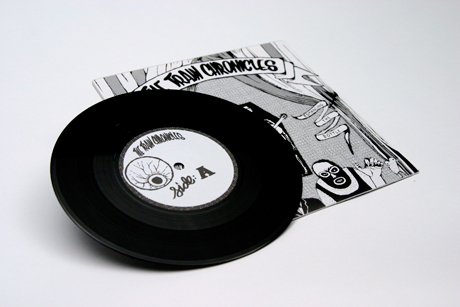 A 4 track 7 inch EP from The Train Chronicles. Designed by Ben Elliot Lee & Robin Simpson. Ben Elliot Lee. Robin Simpson. The Train Chronicles.